EMMERDALE EPISODES: Hold on tight as things are about to get bumpy in Emmerdale as serial killer Lachlan White turns on those nearest to him. Is this the beginning of the end for the murdering teenager? The ladies of the village try their luck at romance as Victoria makes a move on Matty and Bernice makes eyes at Dr Cavanagh. 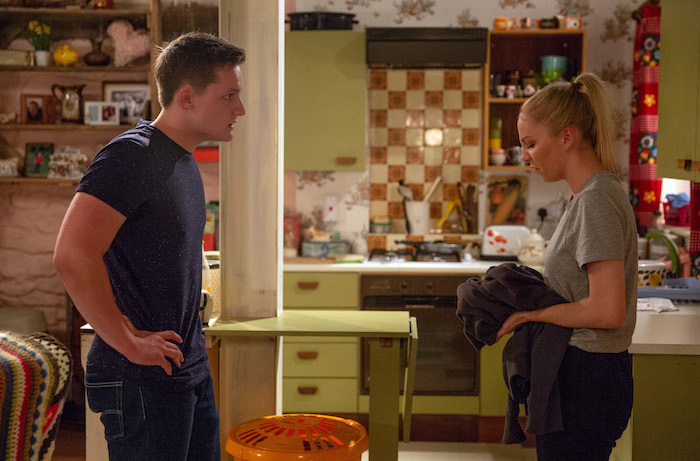 Plus Jessie’s son Ellis arrives – but what secrets is he set to reveal? Mon 3 Sept 2018: Dr Cavanagh comes to the rescue when Faith Dingle suffers an allergic reaction to Bernice Blackstock’s face mask. Mon 3 Sept 2018: Bernice Blackstock is clearly thrown by Dr Cavanagh’s ‘take charge’ attitude. Mon 3 Sept 2018: Sam Dingle arrives at the wrong time to see Lachlan White trying to cover his tracks again. Mon 3 Sept 2018: Sam Dingle is soon left in danger when he discovers how dark Lachlan White can be. 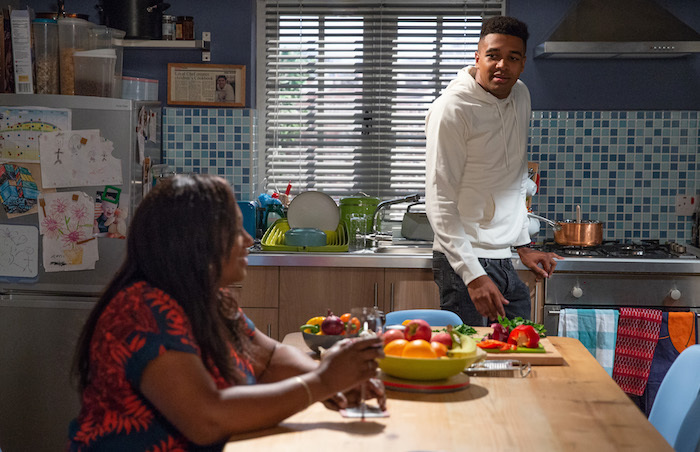 Mon 3 Sept 2018: Jealous of the attention, Dr Cavanagh gives to Faith Dingle, Bernice Blackstock offers to tend to Liam’s grooming needs. Mon 3 Sept 2018: Belle Dingle is caught in a waking nightmare when she spots a bloody jacket. 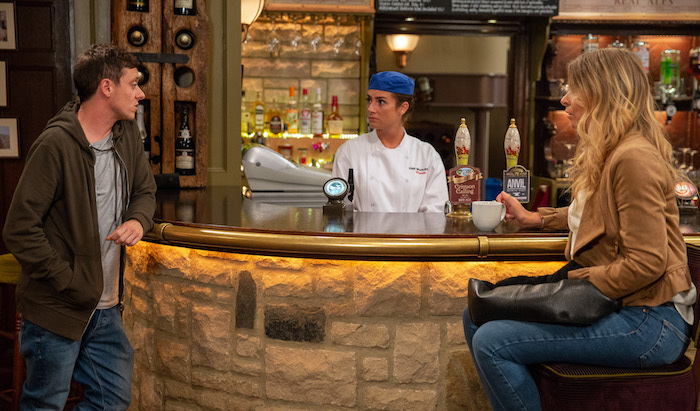 Mon 3 Sept 2018: Belle Dingle pleads with Lachlan White to tell her where Sam Dingle is. Mon 3 Sept 2018: Lachlan White reveals his true colours to Belle Dingle when she tries to leave. 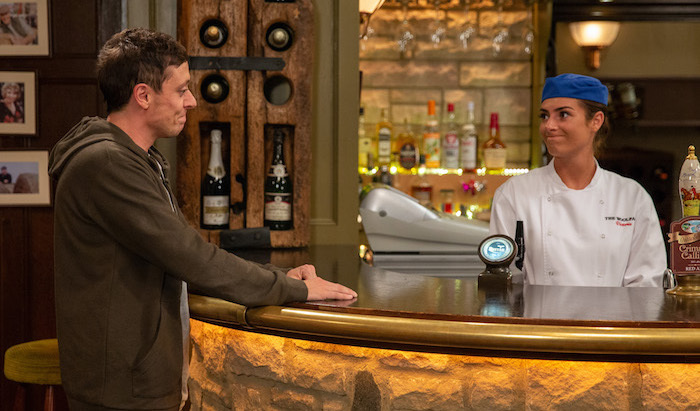 Mon 3 Sept 2018: Charity Dingle offers Matty Barton a bar job at the Woolpack. Victoria Barton gets a phone message from a guy asking her out on a date. Mon 3 Sept 2018: Matty Barton tells Victoria to go for it, but there’s a sense he’s not quite as on board as he is making out and he’s clearly uncomfortable when Victoria arrives for her date with Ellis Grant. 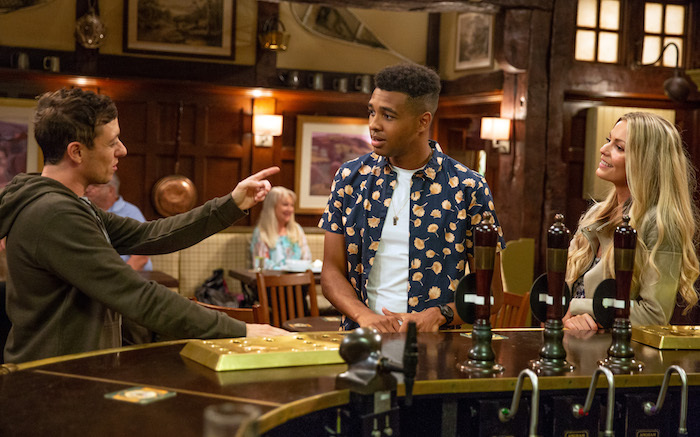 Tues 4 Sept 2018: Matty Barton spots Ellis Grant flirting with some girls and goes to confront him. Tues 4 Sept 2018: When Ellis Grant mocks him, Matty Barton steels himself for a fight. 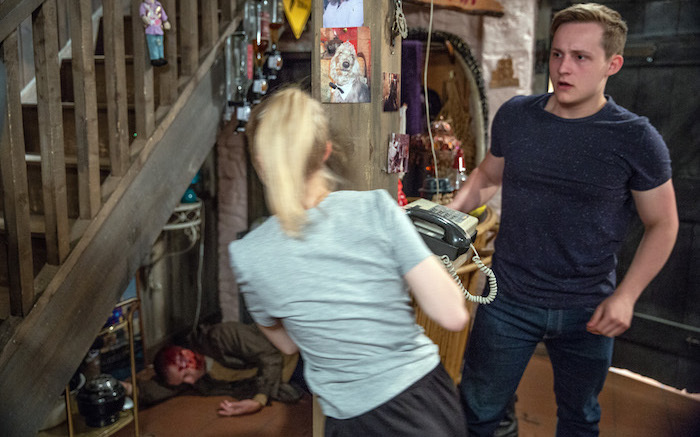 Tues 4 Sept 2018: When a panicked Belle Dingle bolts for the door a struggle ensues and Lachlan White pulls her back roughly. Tues 4 Sept 2018: Belle Dingle pleads with Lachlan White to let her see Sam Dingle. Tues 4 Sept 2018: When Belle Dingle discovers a seemingly lifeless Sam Dingle she’s distraught. Tues 4 Sept 2018: Can Belle Dingle save herself and Sam Dingle from Lachlan White. Wed 5 Sept 2018: Belle Dingle’s life is also in danger as Lachlan White orders her to leave with him. Wed 5 Sept 2018: Bernice Blackstock meets up with Daz Spencer. He hugs her, but it’s clear that her head is being turned by Dr Cavanagh. Wed 5 Sept 2018: Daz Spencer or Dr Cavanagh. We know who we would be picking Bernice Blackstock! 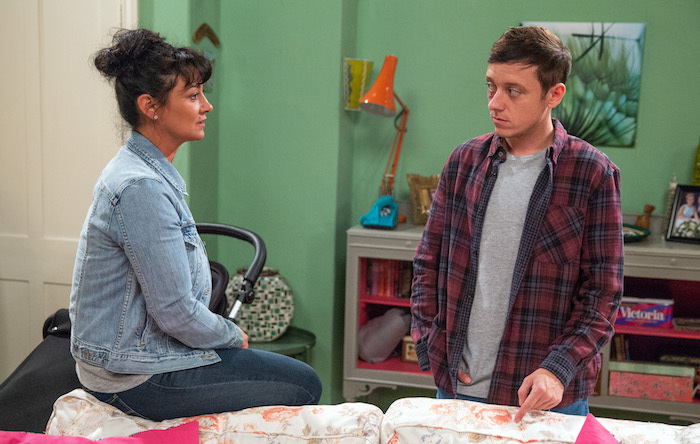 Thurs 6 Sept 2018 – 7pm: Matty Barton confides in Moira Barton. 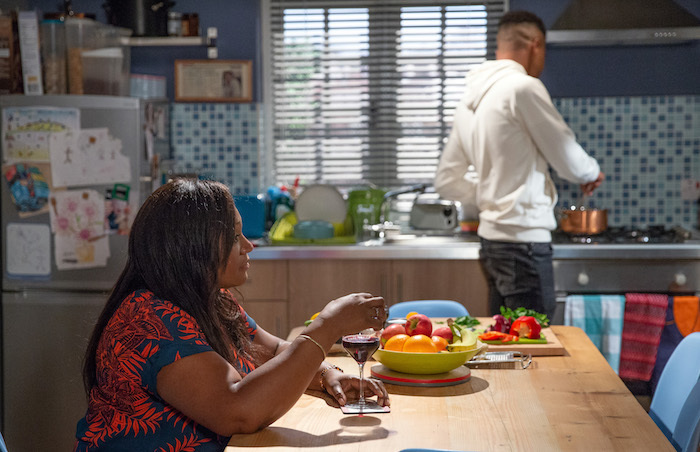 Thurs 6 Sept 2018 – 7pm: How will Matty Barton react when Moira Barton refers to him in the wrong gender? 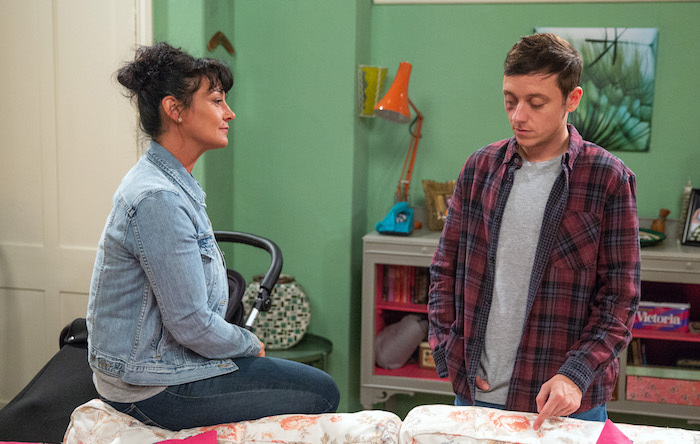 Thurs 6 Sept 2018 – 8pm: Matty Barton starts to wonder if he’s developing romantic feelings towards Victoria Barton. Thurs 6 Sept 2018 – 8pm: When Victoria Barton tries to kiss Matty Barton, how will he react? 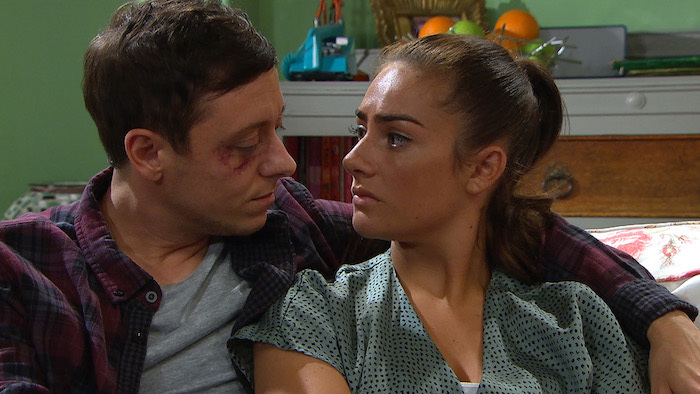 Thurs 6 Sept 2018 – 8pm: As Matty Barton and Victoria Barton share a kiss, how will this affect their friendship? Thurs 6 Sept 2018 – 8pm: Can friends becomes lovers or is there already too much at risk? 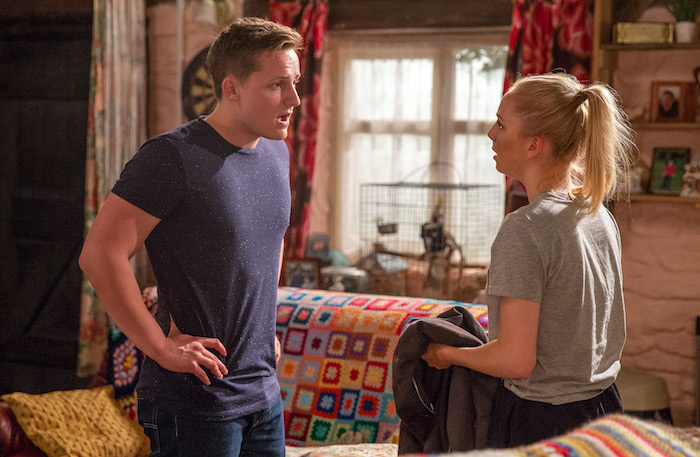 Fri 7 Sept 2018: Jessie Grant isn’t happy to hear Ellis is dropping out of his university course.